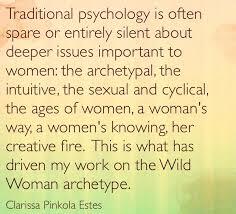 Waking UP: Women’s Cycles & Earth Cycles as One. And it is here: heart of summer, hearth of soul. I am ovulating, or pre-ovulation, which as a woman I know means I am at the height of my vitality. I am sparkling, vivacious, full of energy and ideas and intuitive, big-eyed ideas that seem to naturally connect like a live line of fire sizzling through me. My body, my very being is readying to give life, and as I enter ovulation my whole being reflects this aspect of me. What is ripe in me, of me, prepares itself…these energies are real and whole with or without making an actual child. My being offers forward to the world the most fertile forms of me still yet to be. Because I work consciously with these energies in me, in a way that has been explorative and mindful of the women’s work for many years now–I understand that there is no separating out the parts of me that are blind, repressed, or numb to this knowledge. That in fact, right along side the ovulation-power within me comes too the social, familial, and ancestral programs of my Psyche, the stories that tell me this true, authentic power and feminine strength is poison, bad, wrong. Such an important part of the women’s work is being mindful of these stories or tapes in my head, how and where they play in my body, and how I shut down or close my eyes to them. Meeting these shadows with love, gentleness, and true compassion for my self is such a deep and important part of my work. This week also brings us to what I will call Full Growth moon. This is my name for the cycle that comes after Summer Solstice. Honoring the cyclical way in which our bodies, as women, follow the tide and chart of the larger ecological systems from which we come, and to which we will return grounds us in wisdom: rather than dominion over Nature, spiritual, psychological, and even scientific traditions teach that we as humans actually share an exact reflection of life’s larger, ecologically natural nature. When we enlarge our way of being and seeing to encompass this wider understanding, symbolism can inform us and help make real the wisdom work of our soul’s path. So it is that we consider–the first moon cycle of summer makes its way towards full this weekend. Full Growth moon cycle–if we have been mindful of our cycles we know well what we are growing, and have worked to be in flux with the natural forward flowing, regressing ebbing of the tides of life. The moon is a symbol of our soul, for which our psyche is the vehicle of communication. Psyche speaks in voices, the many voices of which our Ego is only one. It also speaks in images–those mind pictures you see vividly, suddenly, OR an artistic image that stops your tracks out in the world. This might be in the form of a commercial which speaks to you, a line from a song that wont leave you. Maybe a tree or bird that grabs your attention on the way home from work. This week, as the Full Growth moon shines brighter and brighter, all around we actually see this pure and potent physical growth in the natural world. The images are strong! What images come forth from you, your soul right now under this clear light? What images in the world around you are really alive and personal for you? If, like me, your are entering your pre and ovulation phase, it is such an exciting time to be open-eyed, mindful of the inter-connecting web, the mystery of how the inside life and outside life reflect each other. What a holy and sacred relationship, this creative dance! The women’s work reminds us that we get the choice to be mindful in how we show up to it. This is the week of the year that your own growth–or in other words, what it is that is meaningful and real to you and wants to be, or maybe has just been manifested ! !–and is prevalent and on display. Witness it! Take time to be reflective and remember you have a choice to do so. What life are you growing? How are you nurturing the fertility cycles of your own soul? If you are ovulating this week, the work you put in will really show itself in the world under the full moon of August–first Harvest Moon. By then, as the tide begins to change and the light of growth begins to wane, we will turn the discussion more towards how to nurture your bounty, harvest seeds from it, and plant them deep in the psyche in the unconscious darkness, to prepare for rest and nurturing in the year of growth to come…. Happy Full Growth this week, with love. Next Post A Namaste from Seattle Street Artist Kristina Cyr: What’s My Healing?